Step 1 Arrange a rack in the middle of the oven and put a large baking sheet on the rack below it, to catch any drips later. Heat the oven to 350 degrees. Step 2 In a large bowl, toss together the bread, buttermilk, heavy cream, milk, raisins and nutmeg and set aside to soak for 20 minutes. Meanwhile, in a medium bowl, toss together one-fourth cup of the granulated sugar, lemon juice, cinnamon and peaches, to coat; set aside. In Recipes-list.com we have selected the most viewed recipes from category - Desserts . Enjoy the best recipes specially selected for you! 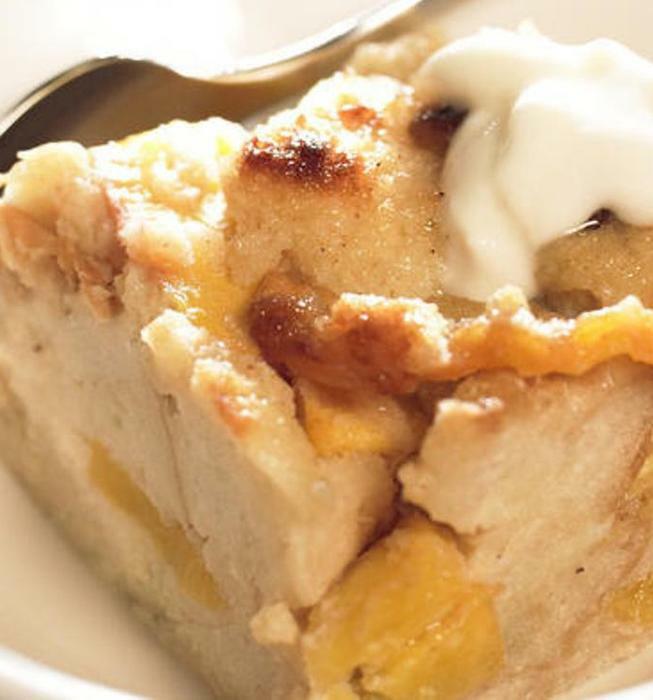 Peach and buttermilk bread pudding with golden raisins is the right choice that will satisfy all your claims.